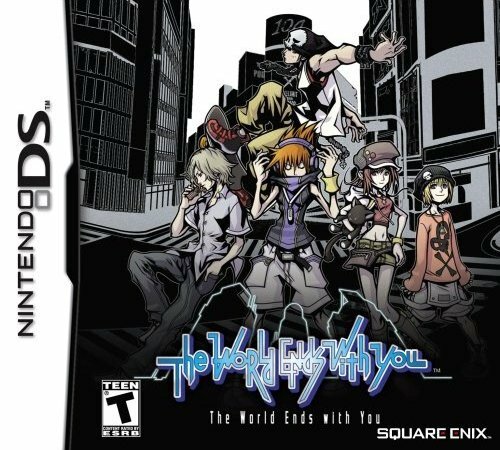 The World Ends with You (which is also known as It’s a Wonderful World in Japan) is a role playing game made for the Nintendo DS handheld system and was developed by Square Enix, the same team who had created another Square Enix title known as Kingdom Hearts, and Jupiter. The team had hoped to create a new game that was different from the Final Fantasy and Kingdom Hearts franchises. The setting of the game takes place in a fictional version of Tokyo’s Shibuya shopping district. As life goes on in the Realground (RG), those who are the chosen dead are taken to an alternate plane known as the Underground (UG) where the Reapers’ Game takes place. Dead players get the chance to obtain the prize: they can either be brought back to life or choose to transcend and become Reapers. The Composer is a god-like entity that maintains Shibuya while the Conductor tasks other Reapers to obstruct the players. Those who fail to complete a mission will have their existence erased. The story revolves around a boy named Neku who at first has no recollection about how he died and learns the rules of the Game from his partners Shiki, Joshua, and Beat. It’s later revealed that Joshua had shot Neku and Joshua is actually the composer. Neku is given one last challenge: to shoot Joshua and determine Shibuya’s fate. The soundtrack for the game was both composed and produced by Takeharu Ishimoto, a Japanese synthesizer programmer and video game at Square Enix. Much of the music in the game uses elements of different genres such as rock, electronic, and hip-hop. Since the beginning, the creators had wished to use a large variety of genres to compose the game’s soundtrack. The different genres would serve to fit the different moods that the different events and areas would give its players. The pre rendered movies were purposely removed and flash styled sequences were put in their place so there would be room to include over thirty songs in the game. In total, approximately ¼ of the game’s ROM is filled up by music. The music definitely adds a lot to the feel of the game so making room for more music was a good call in my opinion. Much of the music in the game really adds to the atmosphere of the game’s battles and many of the songs are upbeat, fast paced, and catchy which really helps keeping players pumped and sucked into the game. The music also helps add to the emotional impact of the game’s storyline. The game’s soundtrack does an amazing job in combining the elements of different genres to create a distinctive soundtrack that helps to make the game what it is. If for anything, the game is definitely worth checking out for its music. Kingdom Hearts is an action role-playing game developed by and collaborated between Square Enix and the Walt Disney Company. It was released on March 28, 2002 for PlayStation 2. Kingdom Hearts includes characters and settings from both Disney and Final Fantasy. Its main characters are Sora, Donald Duck, Goofy, Kairi, Riku, and the Heartless. Sora is a 14-year-old boy with an upbeat attitude and has a strong sense of justice. He can excel in strength, defense, or magic depending on what the gamer chooses, and he has the Keyblade, which is a large key-like weapon. Donald Duck is the feisty but impatient court wizard, and he is also King Mickey Mouse’s loyal servant. He excels in magic. Goofy is the easygoing but clumsy captain of the royal knights, and he is also a soldier who does not like weapons. He excels in defense. Kairi is a delicate but strong 14-year-old girl. Riku is a cool and collected 15-year-old boy with a curiosity for the unknown. Both Kairi and Riku are Sora’s friends. The Heartless are mysterious beings that hunt Sora, and there are many types of Heartless. The Heartless is controlled by Ansem, the seeker of darkness. Kingdom Hearts is basically about Sora who must battle against the Heartless with the help of Donald Duck, Goofy, and even other Disney characters that he will meet on his journey. They travel to the different worlds (i.e., Olympus Coliseum, Agrabah) on the Gummi Ship to seal each keyhole so that the Heartless does not destroy the world. Sora, Donald Duck, and Goofy must also look for King Mickey Mouse, Kairi, and Riku. The gamer controls Sora, and the computer controls all the other characters. By 2009, 12 million copies of Kingdom Hearts were sold worldwide. During the first two months of its North American release, it was one of the top three highest-selling video games. At the end of April 2003, Square Enix announced that Kingdom Hearts had sold its millionth copy in the United States. Kingdom Hearts was followed by several sequels, which includes Kingdom Hearts: Chain of Memories, Kingdom Hearts II, Kingdom Hearts Re:Chain of Memories, Kingdom Hearts 358/2 Days, Kingdom Hearts Birth by Sleep, and Kingdom Hearts Re:Coded. The Kingdom Hearts Original Soundtrack was released on March 27, 2002. It contains two CDs with 41 tracks on one and 35 tracks on the other. 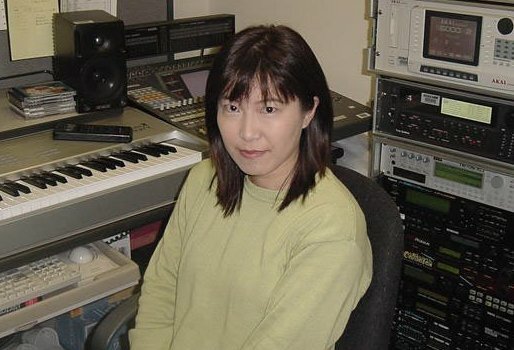 Yoko Shimomura (pictured above) helped compose and arrange the music of Kingdom Hearts. At first, she was afraid to score this kind of demanding project. She had no idea what music would be right for a Square Enix and Disney collaboration. She did a lot of trial and error. She eventually created stage, battle, and boss themes to fit every world based on the scripts and illustrations. Yoko Shimomura is a Japanese video game composer. She is known as the most famous female video game music composer in the world. She has been working in the video game music industry since 1988. In 2002, she wrote the score for Kingdom Hearts, which she says is her most special soundtrack and a turning point in her career. The soundtrack sold more than four million copies worldwide. It is ranked as the fourth-best role-playing game title track of all time. Shimomura also composed music for other Kingdom Hearts games in the series. Even piano sheet music from Kingdom Hearts and Kingdom Hearts II has been published as music books by Yamaha Music Media. 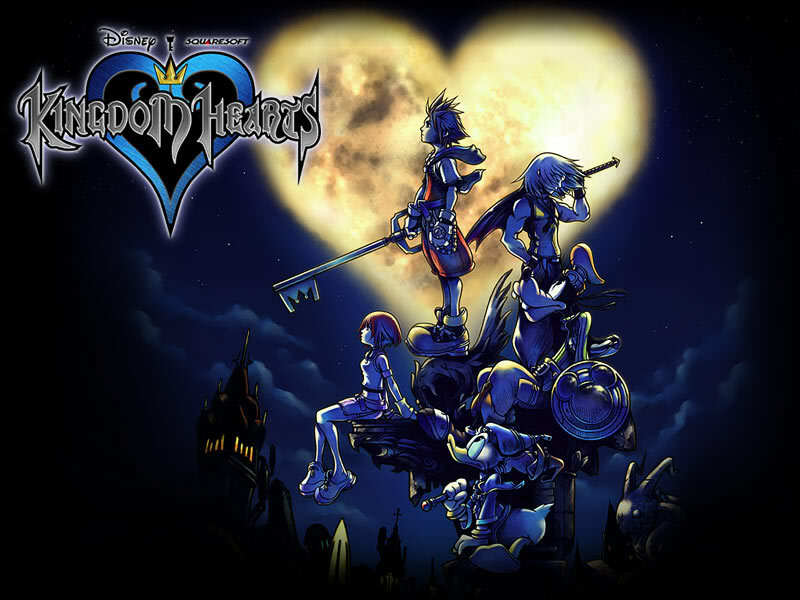 Shimomura’s favorite track that she composed is “Dearly Beloved” from Kingdom Hearts (featured in the video below). Hikaru Utada (pictured above) also helped compose and arrange the music of Kingdom Hearts. She also helped perform the music. She actually made two theme song contributions to the Kingdom Hearts series. This is the first time Hikaru Utada had produced a song for a video game. She composed, arranged, and performed “Simple and Clean” for Kingdom Hearts (featured in the video below) and “Sanctuary” for Kingdom Hearts II. She sings both the English and Japanese versions of both songs. Hikaru Utada is actually a famous Japanese American singer, songwriter, arranger, and producer. She was born in Manhattan, New York. The Kingdom Hearts soundtrack basically features music from Disney films and Final Fantasy. Most of the music is orchestrated, but there are some vocal songs such as Hikaru Utada’s “Simple and Clean.” Like all video games and their music, the music of Kingdom Hearts helps set all the action making music an important part of the video game.